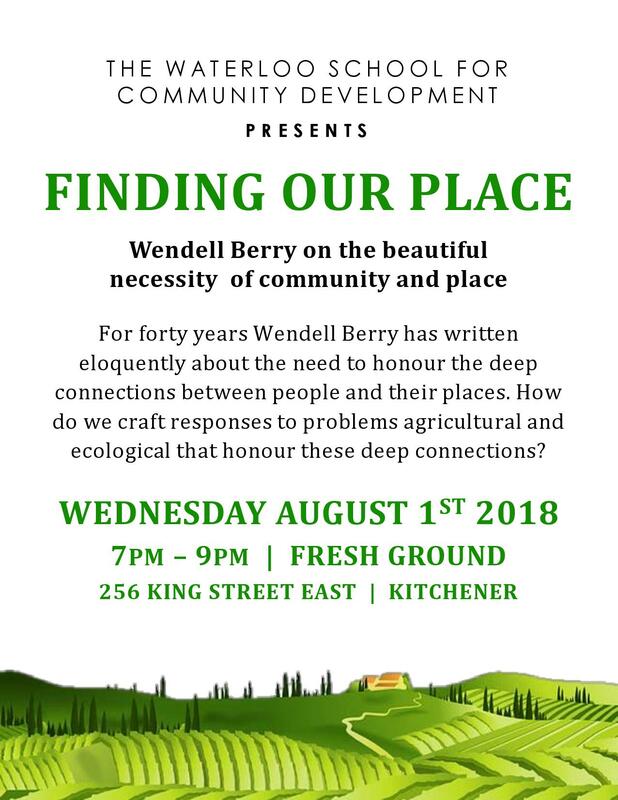 For forty years Wendell Berry has written eloquently about the need to honour the deep connections between people and their places. How do we crafts responses to problems agricultural and ecological that honour these deep connections? Join special guest Mary Berry to discuss her father’s work exploring the connections between land, people, and community. Space is limited. Please RSVP by June 26th if you are interested in participating. 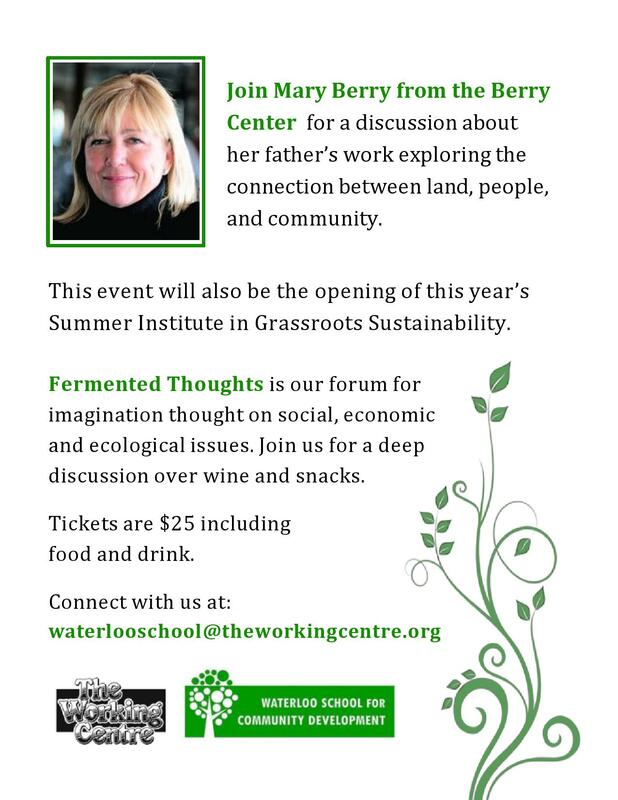 This event is part of our Fermented Thoughts series. Tickets are $25 including food and drink.